Bill Gammill remembers what happened that quiet spring night: he remembers watching a colossal spaceship descend on a field where hundreds of people were waiting, and suddenly finding himself engaged in a baffling, exciting, otherworldly meeting, an off-world gathering of humans in "higher space." But was this just a wild dream, a hallucination, or does he remember because he truly was part of a fantastic, but very real, experience? On that wild night, that astonishing night, extraterrestrials related the fantastic but no less true history and destiny of the Earth and its inhabitants: the origins of human life on Earth, the existence of nonhuman life in the Pleiades and Sirius star systems, and the work of the legendary "Great White Brotherhood." To this day, Gammill still feels "on board" perpetually linked with this mysterious but exalted gathering of humans and aliens, a kind of galactic summit. It took him months to make some sense of his experience—the words, pictures, teachings, and the nature of the beings he encountered. 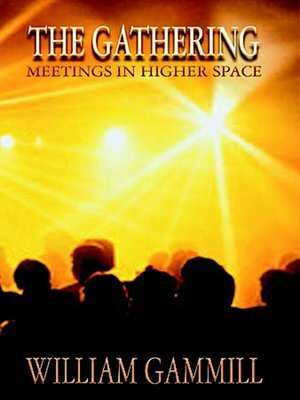 The Gathering contains Gammill's original account of that experience and the revelations given to the gathering about humankind, its origins, its current possibilities and likely future—including the end times, the apocalypse, and our interaction with celestial beings. The information in this book is a wake-up call to our planet: The gathering is assembling and the future is now.